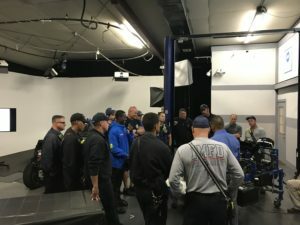 Fort Myers, FL – Automotive Video Innovations (AVI) has partnered with the National Alternative Fuels Training Consortium (NAFTC) to donate safety training to local Fort Myers Firefighters. 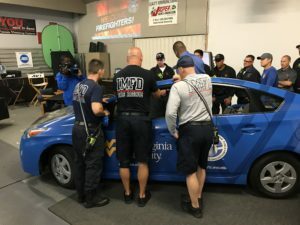 The mission was primarily designed to educate First Responders on the major alternative fuel vehicle groups and the safety issues involved when arriving on scene. 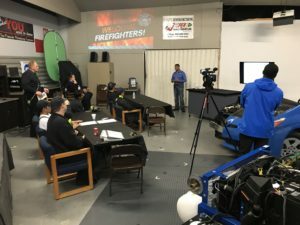 Arriving in a firetruck, the firefighters training kicked off with well know experts like Chris Womock, a Lieutenant of the Indianapolis Fire Department and Michael Smyth, Acting Director of NAFTC, delivering the First Responder Alternative Fuel Vehicle Safety Training course. 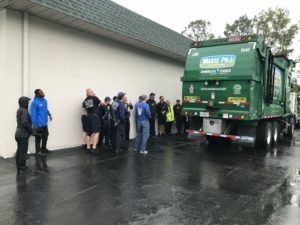 In addition, AVI used a cutaway Prius and a CNG (compressed natural gas) Waste Pro garbage truck to show real life examples in the learning environment. 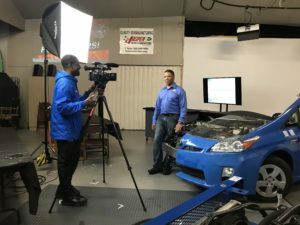 AVI provides training through live, instructor led courses, custom courses produced just for the client, technical training manuals, DVDs and online courses continually updated to meet the ever-changing nature of today’s automotive industry. NAFTC is a pioneer and national leader in developing, managing, and promoting programs to help improve our nation’s energy independence and encourage the use of cleaner transportation. 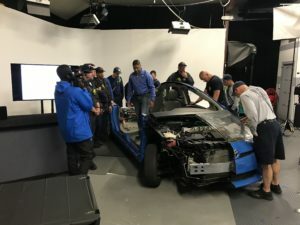 Rising concerns about the effects of fossil fuels on the world’s environment combined to their increased cost when compared with alternative fuels are making AFVs more common on our nation’s roadways. 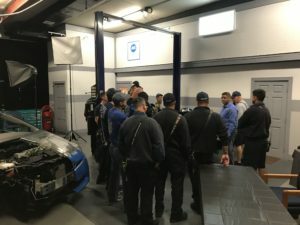 With increased vehicle use, the chance of these new technologies being involved in a vehicular accident also increases. 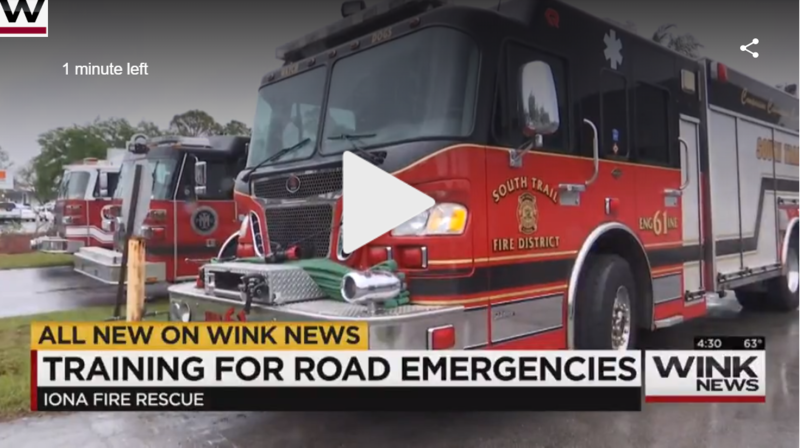 Firefighters need to be trained on the differences between these vehicles and their conventional counterparts and on the proper procedures for safely addressing incidents involving natural gas, propane autogas, hydrogen, electric drive, ethanol and biofuel powered vehicles. 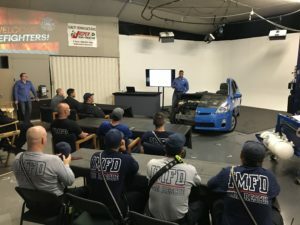 This course is designed to educate firefighters on the properties and procedures to follow when dealing with alternative fuel vehicles. Anyone can attend these classes as a participant.